The Seth Thomas Clock Co. manufactured timepieces from the late 18th century through the middle of the 20th century, producing a number of unique styles through the years. 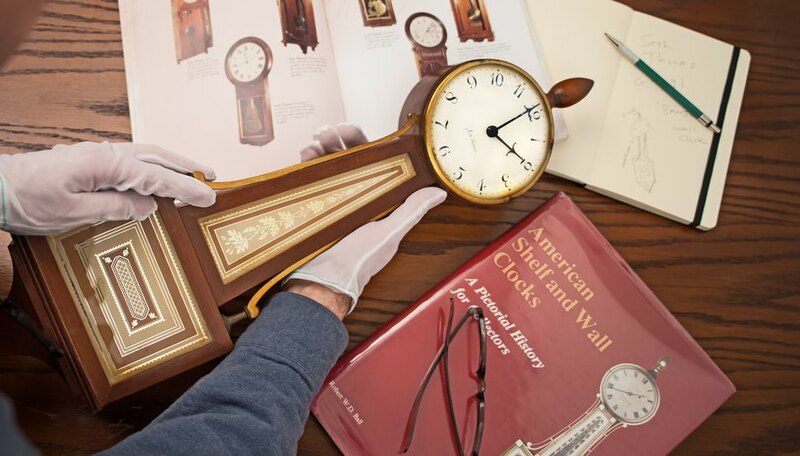 There are several techniques you can use to identify a Seth Thomas clock, from the unique date stamp to the trademark symbol. Research the history of Seth Thomas clocks. There are a number of guides you can browse online that note specific makes and models of Seth Thomas clocks throughout history. Many of these guides come with pictures you can study to help identify your timepiece visually. You do need to be careful, however, as imitators often created similar pieces. Knowing distinguishing characteristics will help you weed out the phonies from the originals. Look over the clock, handling it carefully so you don't damage it. There are a number of unique trademark mattes that were laid over the backs or inside the doors of Seth Thomas clocks. These mattes distinctly say either Seth Thomas or Seth Thomas Clock Company. Check to make sure the matte has not been replaced. From time to time, you'll come across dishonest dealers who replace the matting of generic clocks with antique clock matting to try to sell timepieces to uneducated buyers. This is another instance where knowing the different styles of Seth Thomas clocks comes in handy. Look for the unique Seth Thomas date stamp on your clock. 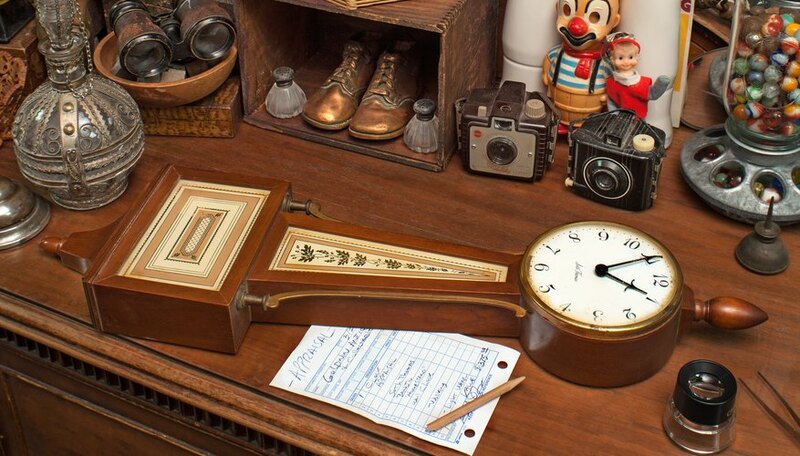 From the late 1800s through the early 1900s, the Seth Thomas Clock Co. dated its clocks with a unique system. The company lettered the months with the first 12 letters of the alphabet and stamped the year backward. For example, a clock that was manufactured in July 1904 would bear a stamp that looks like this: 4091 G.
Have a professional identify and appraise the clock if you still aren't certain. 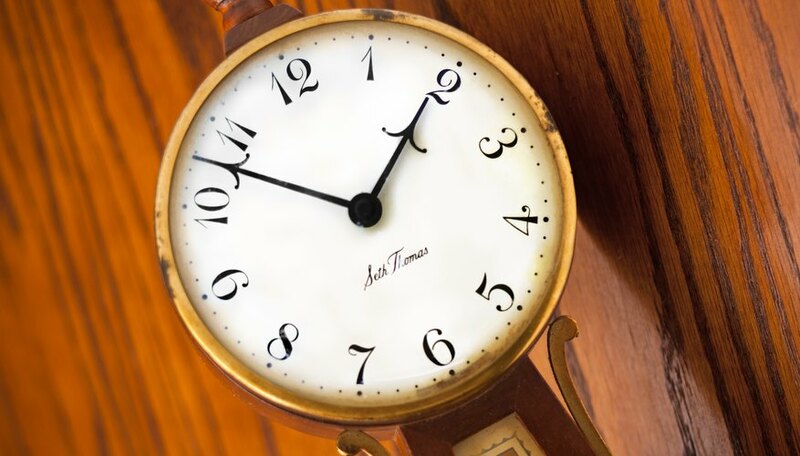 Many professional antique dealers and appraisers are well-versed in identification and can help you not only determine if your clock is genuine, but also give you a rough estimate of the date the clock was manufactured.